Freakish to downright deadly weather, news of yet more violence and sorrow, and then throw in whatever personal struggles we all have to cope with and the New Year can become dreary all too quickly. We all have our ways of coping. I love to exercise (okay, maybe not, but I like the results), read, knit, play with my pets. And when it comes to reading, I love a romance. Superromance is my favorite Harlequin line not just because I write for Supers (yeah!) but because whenever I pick up a Superromance I know I'm going to get an engrossing, character-driven read with my favorite kind of ending. Happy. Fulfilling. Uplifting. I prefer to read about emotionally complex characters, who are NOT "TDTL" (too dumb to live OR love) and who deal with their conflicts in realistic yet innovative ways. If I wanted to read about someone solving a common problem in the usual way, I'd read my journals from the last ten years. But I want to be mentally transported out of my current reality, whatever it may be, into the lives and loves of my fictional friends. Characters are my friends, but only if the author does his/her job and makes me want to be friends with the hero or heroine in the first place. When I pick up a Superromance, it's what I expect to find. I'm still pinching myself that I get to write for Supers. My first rejection was from Super years ago, after which I tried every other line at an attempt at finding my "secret" writing voice. Truth is that I was TDTP (too dumb to publish) back in those days; I didn't recognize my first rejections as good rejections (yes, there is such a thing). 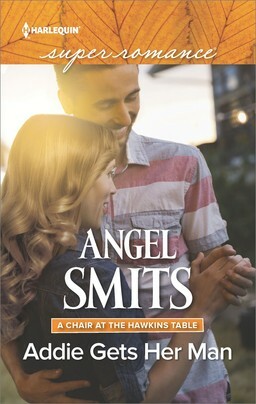 It came as a karmic joy that I finally landed in Supers, after my first books sold to Harlequin Everlasting. How does Superromance help you cope? Post an answer and you'll be entered to win a copy of my latest Superromance, SASHA's DAD. When I read a super romance I don't think so much about my problems. I get absorbed into a different world and take a break from my worries. If the story is good, and it ususally is, I laugh and cry and dream some more. It lifts my spirits and I feel lighter after finishing the book. I love reading Supers for the realistic storylines. Reading Super Romances feels like the story is happening to someone we know. ANd I get completely lost in its storyline and escape from the mundane for a few hours! Why Supers? When things are rough I want to escape to a world where the characters are going through realistic ups and downs to see them survive and make it to the beautiful happy ever after. Who wouldn't feel better after that? I've only read Geri's first two books, but I can identify with the characters. Her story people are people I know, and her characters are complex and she weaves many layers into the stories. I love how she writes about family relationships across the generations. I don't toss and turn in bed anymore. I have sweet dreams reliving the story with myself as the heroine usually. 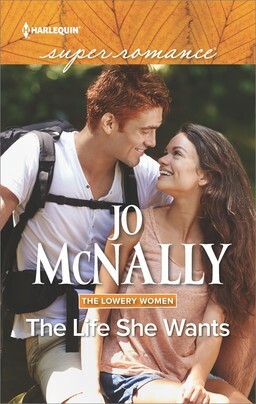 In these trying times, when I read a Super Romance I know I will get a happily ever after. I love escaping into a story with realistic characters. 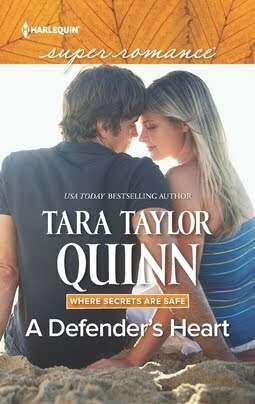 Super Romances are my favorite in the Harlequin line and I've enjoyed all I have read so far. Oh boy. I love Super Romance but I must be honest I read from other lines as well. I pick up a Super Romance when I want a longer, grittier, more realistic story. Supers quite often make me tear up but I know there will be a happy ever after. Sometimes it is that happy ever after that causes the tears. I think that the variety of subjects, occupations of heroes and heroines is what draws me to the line plus some of my favorite authors write for this line. I will always read some Super Romance. Supers are so entertaining....I can really get into them. Am anxious to read your book. Enjoyed your post very much. I like them because yje story is compact and there are no cliffhangers. I don't have access to my email from work so please remind everyone of our giveaway for today. I read fiction to escape. But like the realistic elements of Super. I love the tone of Supers in general. Rarely have I encountered a hero that I don't like in Supers(actually, never that I can remember), which is not always true in other lines. I can always count on a warm, heart-tugging storyline, and I enjoy the heat that I often find in Supers, as well. BTW, I miss having the authors comment on the Supers blog on eHarlequin. Was there any particular reason that you switched over here? I read most of the lines that are published by Harlequin but Super is one of my very favorites because I can relate more to the story and real life happenings in them. Please don't enter me in the drawing as I already have and have read Sasha's Dad. It's 10:44 PM Moscow time. We won't wake Geri up if we talk quietly amongst ourselves . It just occured to me that 5 countries have been represented by our 8 bloggers. On Saturday I'll be announcing a new contest that involves matching authors to countries. The prize will be a $20 Amazon gift card. Chelle, you have an unclaimed prize. When I read I don't think about my problems. I like the Super Romance books.Have a great week. Super Romances take me out of my everyday life and give me a story I know will have a happy ending despite the problems and conflicts the characters face. They are comfort reads for me. I love to read. Period. All kinds of stories. All kinds of genres. But with SR I know that I will be satisfied with the quality and quantity provided. Just finished Karina's Librarian book and have another on stand by. Can't remember which one I downloaded, but I know I will be happier when I finish it. Currently I'm reading the Girl with the Dragon Tattoo. It's odd, but I'm perservering. I read Supers because I like realistic stories that end with a great HEA. I love Supers because they take me away from the real world for a while. Hi Geri! Great post! SuperRomances, and books in general help me cope because reading is 'me' time. As a mother and wife also friend, sister, daughter and colleague, much of my time is taken up with helping others deal with their problems or just spending time. Friendship and loved ones are what makes my world go around so I wouldn't have it any other way. But at the end of the day I love to get lost in a book. All by myself. Swept away to someone else's world. It's like a mini-holiday. I love Super Romances because they have so much heart. I love the real emotion they have. The plots are also interesting and all of the Super Romance authors are wonderful. The books are a little longer, but the payoff at the end is always there. That's why I love to read! When life is getting hard I like grabbing a good book and settling down to read a story that I know has a happy ending. All, Geri is giving away an autographed copy of Sasha's Dad... The winner will be drawn from today's comments. Please check back this weekend. Winners are posted on this site, along the side bar and in the WeekEnder. And don't forget your comments all month long enter you in our drawing for an Amazon Kindle and $25 gift certificate to load it. I love Super Romance because reading them is a great way to escape, but I don't have to check my brain at the door. I love that the heroes/heroines don't have to fight terrorists or serial killers or vampires to make for an interesting read. My fighter pilot guy used to put my heart on the line every day when he left to fly--although he was a good stick, sometimes good people crashed and burned. When I read a Super Romance, I was reminded that I loved him and love was the most important thing in our life. Love made the risk worth it. Wing wife, nicely said. A good reminder for those of us writing Superromance books. In writerly terms, those were some pretty high stakes you and your hubby faced. Thanks for posting. 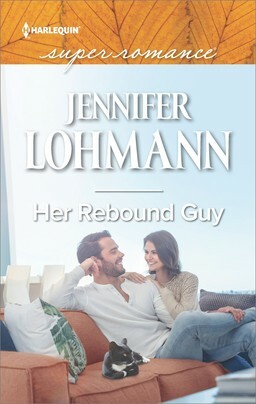 Someone asked about the Superromance blog at eHarlequin. We've been trying to figure out a way to make this blog appear there automatically, but I just got word that's not possible. I'm not a tekkie so I don't know why, but unless the author has time to cut and paste to eHQ then go back and check both blogs for replies...not sure that will happen. There's only so much time. PLUS, the only way to be registered for the prizes is to answer here. So, I'm not sure what is going to happen with the eHQ blog. Also meant to include a big hello to Geri. Nice blog. All these enthusiastic replies have left a warm glow in my heart. We need a bumpersticker that says: I Heart Superromance. JV, this blog is new! Oh, Wing Wife, your comment made me cry! I love Supers for the depth of emotion, the believable situations, and the uplifting endings. What I great list of responses--it makes my heart hum. It's so encouraging to know my stories help others get through a rough time or simply help put the icing on a full day. That's what reading and writing both do for me, as well. Although I admit the writing is more emotionally exhausting! Here's an exclusive: I was on the Moscow Metro yesterday and I saw a woman reading a Harlequin Romance--printed in Russian! Very exciting and motivating. I hope you all are having a great weekend and please stop back next week! Oh. I thought perhaps this blog was already in existence before the eHarlequin Supers authors blog. Wonder why this one was created separately, then, rather than continue to use the one on eHarlequin? Just curious. JV, I can see how it's not as convenient for someone like you who looks at a bunch of blogs on eHQ. But for us authors, it simply wasn't user-friendly. I never posted over there because of all the hoops we had to jump through to post. But I'll be a regular here and I think we'll get a lot more SuperRomance authors posting and a more active blog than the old eHQ one. I hope you stick around and enjoy this new site!